A while back I announced that the WBC was scheduled to hold their 48th convention in Cancun, Mexico. 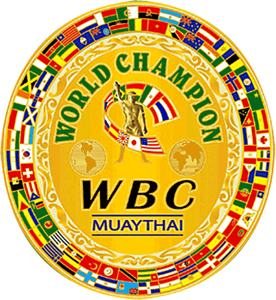 Among their discussions formal announcements of the WBC Muay Thai presidents for regions around the world would be made. True to that statement outside of Australia’s Pacific Region president Pamorn Martdee, no other presidents for their respective regions have yet been formally announced. Though notably, the decisions have already been made and the convention will serve as the public platform for the actual announcements. 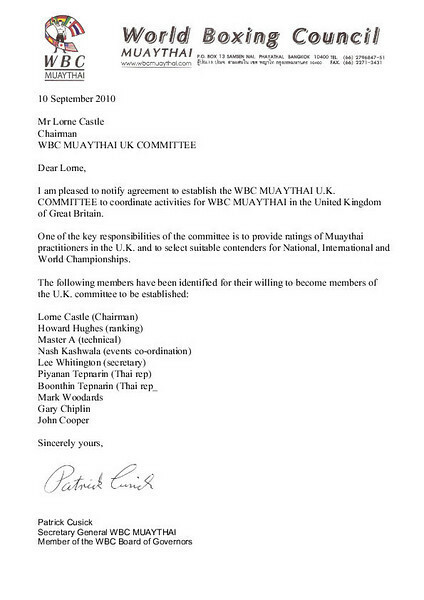 It does look like however the WBC Muay Thai United Kingdom (UK) now has in place a formal advisory committee. Among many of the duties they will be performing one of their chief tasks is the clarification of rankings for the UK which of course helps shape international rankings as well for the WBC Muay Thai overall picture. The scan of the letter and it’s contents have been publicly shared. It looks like some of the initial steps towards making a more complete national and international picture for rankings are being taken. Having said that I have yet to get a reply from the WBC Muay Thai about the United States and remaining represented regions of the world. However it must be noted that the WBC 48th Convention will not begin to convene until October 30th this year. Still, I would consider this very much a positive step forward though without a doubt many more steps need to be taken. Good to see and I can only hope this continues to grow in a positive direction though it remains to be seen what the outcome will be. ~ by fatsoking on September 20, 2010.